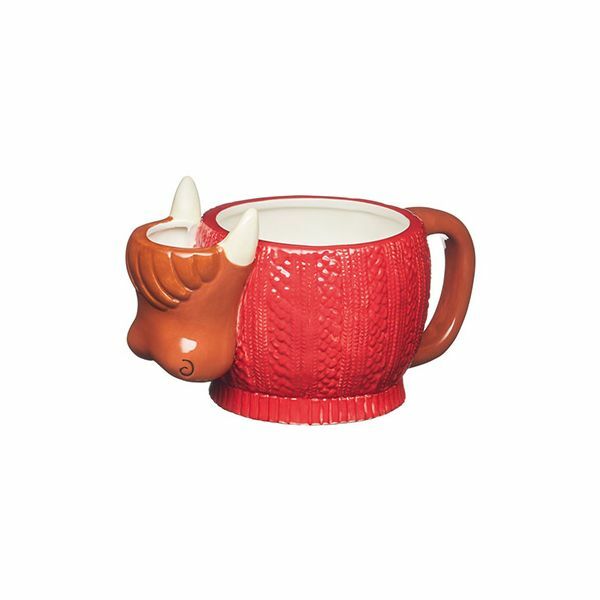 This KitchenCraft highland cow mug is made from ceramic and is styled in the shape of a brown highland cow with pointy horns complete with a characteristic long fringe wearing a knitted red jumper. The tail acts as a large handle for a firm and comfortable grip and the head is hollow, perfect for storing a used tea bag. 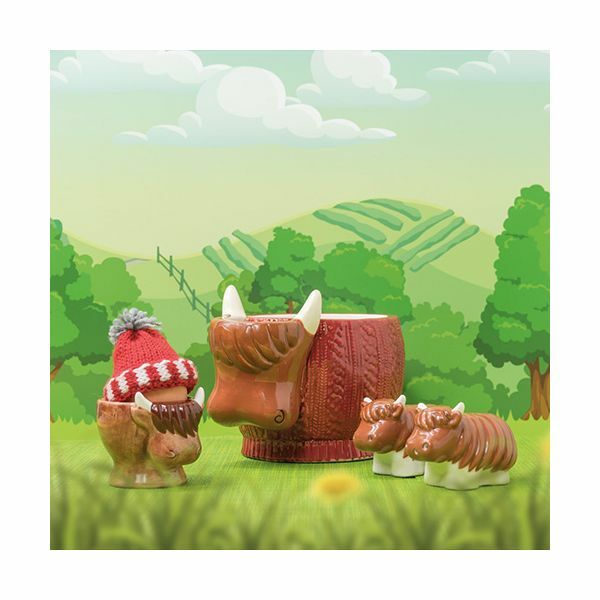 The highland cow mug is part of a matching collection and makes a lovely gift for friends and family.